Fr. Andrew Cuneo was raised in the “green and pleasant” land of Wilton, Connecticut, where he lived until attending Stanford University 3,000 miles away. It was there that he met his future wife, Elizabeth. He graduated from Stanford with a B.A. in English and then travelled to England to complete an M.Phil. in English Renaissance Literature at the University of Oxford. Before completing graduate studies, he assisted Walter Hooper with research on the unpublished letters of C. S. Lewis, a subject which then became the focus of his doctorate at Oxford. The University awarded him his D.Phil. in English in 2001, making him the first Oxford scholar ever to receive a doctoral degree on C. S. Lewis. 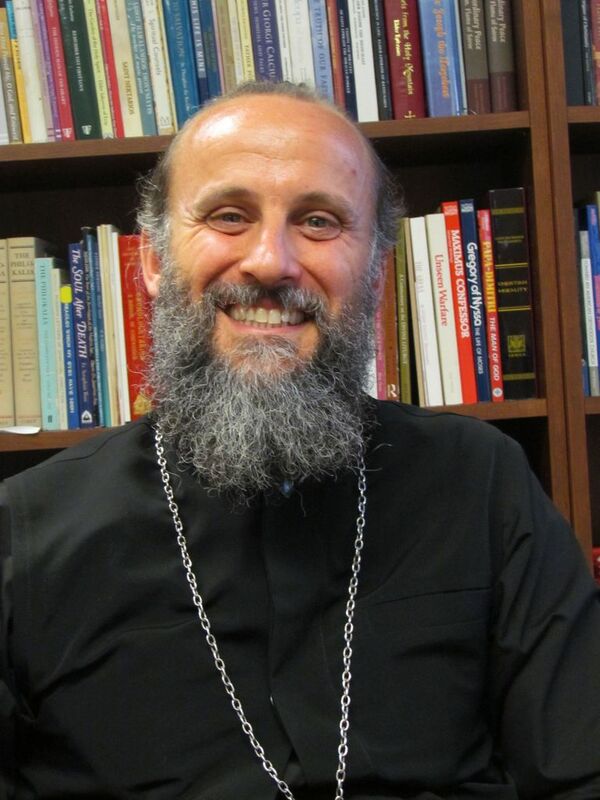 He went on to teach English Literature at Hillsdale College for 6 years before beginning his theological training at St. Vladimir's Orthodox Theological Seminary, which he completed in 2010. Upon his arrival to the San Diego area, he taught English Literature from 2011-2014 at St. Katherine College. He lives in Encinitas, California, with his wife, three lively daughters and one smiling son. Fr. Andrew is the founding priest of St. Katherine Orthodox Church. Fr. Jerome Cwiklinski is a native of Buffalo, New York. He is retired from the U.S. armed forces 42 years of service, including 12 as a Marine and 30 as a Navy Chaplain. He graduated from University of Maryland with a Bachelor of Arts in Anthropology, St. Vladimir Orthodox Theological Seminary with a Master of Divinity, and the Naval War College with a Master of Arts in Foreign Affairs. 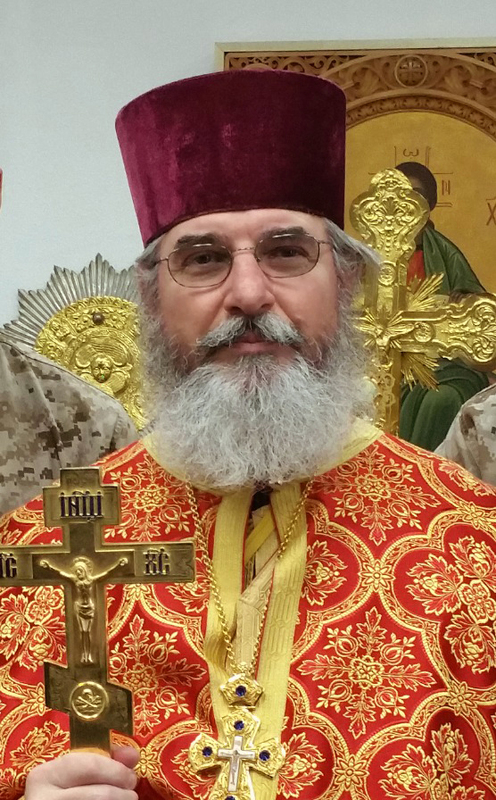 In addition to being the pastor of Orthodox Chapels, served throughout his military career, most notably St. John the Forerunner Chapel on Camp Pendleton, he was also Priest-in-Charge of St. Nicholas Church in Juneau, Alaska, and founding priest of St. Nikolai of Zhica Orthodox Mission in Whitehorse, Yukon Territories of Canada, as well as having been on loan to St. Spyridon Greek Orthodox Church in Newport, Rhode Island, and Our Lady of Iveron Russian Orthodox Church in Honolulu, Hawaii. He and Matushka Wendy, from Vicksburg, Mississippi, have five children. Fr. Jerome and Matushka Wendy continue to serve our Orthodox men and women in uniform at St. Theodore the Recruit Chapel at Marine Corps Recruit Depot, San Diego, and St. Barbara Chapel at Marine Corps Air Group Combat Center, in Twenty-nine Palms. Vice-President — Jeff VanderWielen, Ph.D.